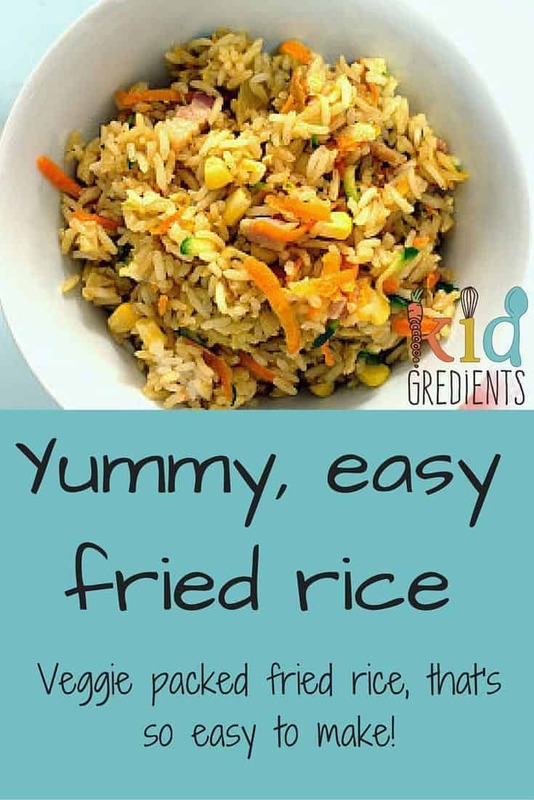 One of my kids favourites is fried rice. You can guarantee if you are out for Thai or Chinese that they will eat it if you order it. I’ve noticed lately that more and more brands are selling premade packets of fried rice on the supermarket shelves and that there are a few frozen/fridge packets of it too. 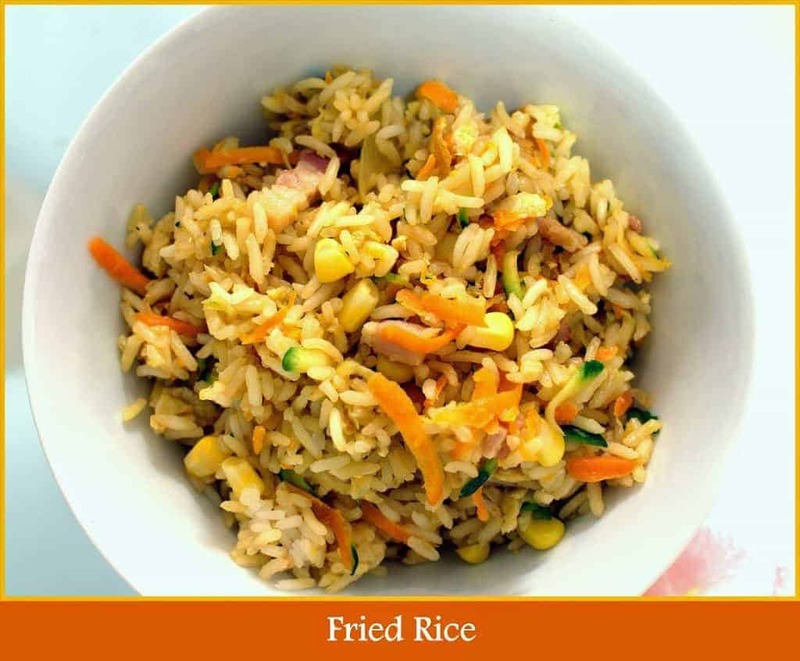 I understand the convenience, but with a bit of simple planning, fried rice can be an easy side to have with dinner. 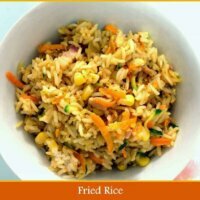 Fried rice is also a really good budget meal. It’s rice, leftover meat etc and whatever you’ve got in the fridge. There should really be no need to go shopping to get stuff for fried rice, unless of course you have no rice or absolutely nothing in the fridge. Feel free to change the veggies, change the rice, use what you’ve got! Swap the soy for tamari, use ketcap manis instead of the soy, add some fresh herbs such as chives or coriander. This flexibility of this recipe is only limited by your imagination. And you know what? It’s awesome in sushi. Seriously, stuff cooled fried rice in sushi and the kids love it! This is also perfect the next day in a thermos for lunch. Master 2 ate every last bit when I sent it with him this week. 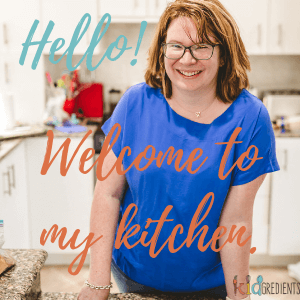 Rice paper rolls- your way! 4 cups of cooked, cooled rice (brown, jasmine, white). You need to cook the rice in advance. The best way to do this is to have rice the night before with dinner or to cook it sometime and freeze it, defrosting when needed. Add the oil to a wok, over medium/high heat. When the oil is hot, add the eggs to the pan. When the egg is bubbling and starting to look cooked on the edges, flip it. If your flip is unsuccessful, don't worry, just let it cook through then remove. Chop the egg up and set aside. Add the bacon to the oil along with the onion. Add the other vegetables, fry 4-5 minutes, stirring so they don't stick. Add the rice and the soy sauce stirring regularly. Put the chopped egg back in the pan and stir through. Make sure everything is heated through. Taste and add more soy depending your taste.